Micomtek Corporation , an affiliate of EPC International Technology Corporation, was initially serving as a manufacturing plant for EPC. Back in 1973, EPC was authorized by American Meter Company (AMC) with technical transfer and a permit to manufacture locally its patented gas meter, American Gas Meter, thus becoming the first and unique gas meter manufacturer in Taiwan . In 2001, Micomtek became a full-fledged organization when RICOH Elemex Corporation, Japan 's Measurement Device manufacturing giant, and EPC signed a Technical and Financial Cooperation Contract. With the strong technical backing of two internationally renowned gas-meter makers, AMC and RICOH, along with EPC's own teams of R & D, technical fabrication, fluid flow testing and quality control, Micomtek is now capable of producing excellent quality gas meters and microcomputer gas meters with wireless network communication systems, enabling simultaneous distance-reading and monitoring of consumers' gas meters from the gas-supplier's control center. 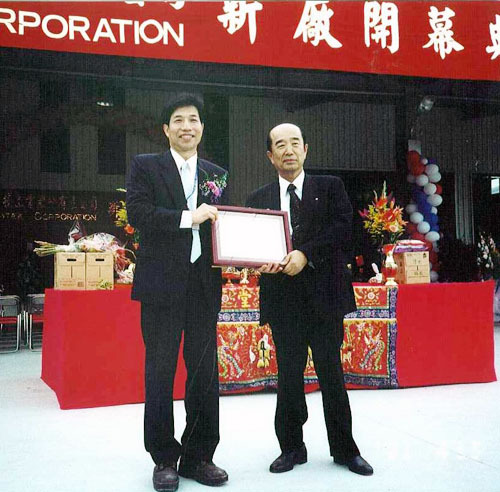 Mr. Raymond Hsu, EPC's president (left) and Mr. Shuichiro Haba, RICOH's president (right), pose for a photo session at the grand opening ceremony of the gas meter manufacturing plant at Ta-shi, Taoyuan, Taiwan on April 13, 2001. 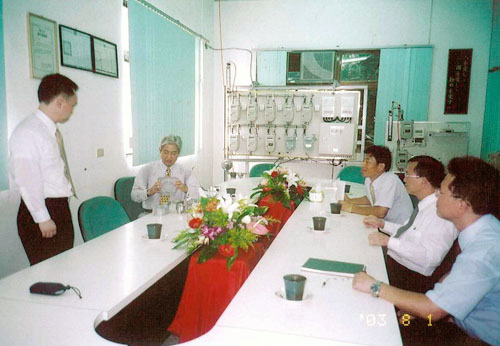 Staff members of both EPC and RICOH attend one of the seminars on the Gas Flow Measurement Technology at the EPC's plant site in 2003.